Recreational camping is a relatively new pastime. It has only been enjoyed for 150 years. Recreational camping is to be distinguished from occupational camping or lifestyle camping. Trappers, hunters, scouts, surveyors, explorers were all occupational campers who did so as part of their job. Aboriginal people around the world who live in movable homes would be considered to lifestyle campers who did so as their daily way of life. Occupational campers and lifestyle campers do so because they need to camp, whereas recreational campers do so because they want to camp. What was it that allowed humans to go from occupational camping to recreational camping? Well, leisure time is the basic answer. The theory goes that as technology improves the amount of time needed to perform tasks decreases and thus we have more free time. It was the Industrial Revolution that ushered in this greater amount of free time for the American populous. As the American Civil War came to a close, the United States was poised to expand its economy and expand it did. The industrialist of the late 19th century started building a new America. For good or bad, in good ways or bad, these industrialist made the United States one of the strongest economies. And when the smoke finally settled, a middle class began to emerge. People found themselves with more resources and more time. By the turn of the century, recreational camping had become a well established past time and the outdoor industry had begun. The Ford Model T car, which was produced from 1908 through 1927, was the first affordable car that was available to the middle class. 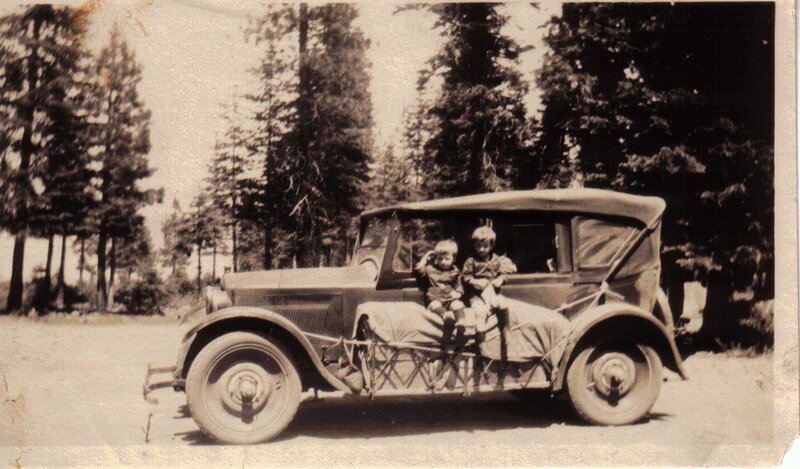 This affordable vehicle opened travel and also camping to a great number of people. People now had the time, resources and the means to get back in touch with their roots in nature. Camping and all the mental and physical health benefits that accompanied it had become mainstream. Read “The American Camp Movement”. The Industrial Revolution had made numerous technologies available to the camping public. However, the” less is more” and “simpler is better” approach was written about by numerous authors of the day. These authors went back to the days of occupational camping – the scouts, explorers, surveyors – to draw on the professionals’ wisdom regarding what works. The authors were rarely impressed by new fangled gadgets and gizmos espoused by the retailers as the latest and greatest for camping expeditions. Then, as now, these items created more weight on the back rather than providing a significant benefit to the camper. The literature of the day referred to woodcraft skills as the “essential” that the occupational camper carried along. The occupational camper knew more and carried less. Skill with a knife and hatchet were used to replace the pounds of gear that less experienced campers had to carry on their backs. These early days of recreational camping is what has come to be know of as Classic Camping, where one slept under material made from plant fiber – cotton; wore clothes made from animal fiber – wool; and cooked using found fuel – wood. Blankets, tarps, knives and hatchets and a few implements for cooking over a fire made up the gear list for the experienced camper. Knowledge of nature and woodcraft skills were the “10 essentials” of the day. This entry was posted in Classic Camping. Bookmark the permalink.